Keep the proceeds of your life insurance policy out of your taxable estate. If you own a life insurance policy on your own life, and you’re concerned about estate taxes, you may be able to use a life insurance trust to reduce the size of your taxable estate. Do You Need To Worry About Estate Taxes? The main goal of a life insurance trust is to reduce or eliminate estate taxes. For those who have a large life insurance policy, the worry is that the life insurance policy will pay out into the estate, increasing its size – and the possibility that the estate may owe estate taxes. However, very few estates will owe estate taxes. For deaths in 2016, the estate tax exemption is $5.45 million. (This exemption amount will rise each year to adjust for inflation.) Only estates larger than the exemption amount may owe federal estate tax – so you don’t need to worry about making a life insurance trust unless you think that your life insurance policy will bring the size of your estate into that range. Some states also levy estate and inheritance taxes. And the exemption rates on those taxes can be lower than the federal exemption. So while your estate may not be big enough to trigger federal estate taxes, if you live in one of the states with state estate or inheritance taxes, your estate may still owe taxes to the state. Find out whether your state is one of those with State Estate Taxes. You create an irrevocable trust, naming someone else as trustee. Then you transfer the policy into the trust and the trust becomes owner of the policy. You will no longer have any control over the policy, but through the terms of the trust you can determine who will have control, how premiums will be paid, who will benefit from the trust, and how payments should be made to the beneficiary or beneficiaries. The first two requirements exist to ensure that you have no control over the policy after you transfer it to the trust. If you do retain control, the IRS will include the policy in your taxable estate. The last requirement is the IRS’s way of prohibiting “last minute” transfers to avoid estate taxes. It seems that it’s okay to avoid estate taxes this way, as long as you plan ahead for it. You can still pay the premiums for the life insurance policy – doing so is not considered an “incident of ownership.” Or, you can give money to someone else to pay them. (But watch out for gift taxes!) Or you might consider buying a single premium policy sot that no further payments will be due. A more simple method of keeping the money from a life insurance policy out of your taxable estate is to just give the policy to someone else. While this is absolutely easier and will have the same effect on your estate taxes, there are some serious downsides. First, you need to worry about gift taxes. Your estate will be liable for any gifts that you make larger than $14,000 per recipient, per year. (This amount is also indexed for inflation; $14,000 is the amount for 2016.) Any gift tax will likely be less than the estate tax burden if you leave the policy in your estate (because the value of the policy that you transfer will be much less than the amount of the pay out after you die), but you should still look into what gift taxes you’ll incur by transferring your policy. Learn more about Reducing Estate Tax by Making Gifts. Also, to keep your policy out of your estate, when you give it to another person you must give up all control over the policy. You cannot change the beneficiaries, borrow against the policy, change or cancel the policy, or do anything else that the IRS might construe as an “incident of ownership.” And, whoever you give the policy to will be able to do all of those things. So you must carefully consider whether you trust that person with the policy. While it’s not right for everyone, some people will decide to proceed this way – if they do, it’s because they absolutely trust the recipient. As with a life insurance trust, this transfer must be made three years before death. Learn more about Transferring Your Life Insurance. To make a life insurance trust, see a lawyer. This is not a simple, do-it-yourself kind of trust. Get an experienced lawyer to help you work through the issues and to draw up the document. However, you can save some money by informing yourself about Wills, Trusts, Estate and Gift Taxes, and Estate Planning, before you start paying an attorney’s hourly fee. 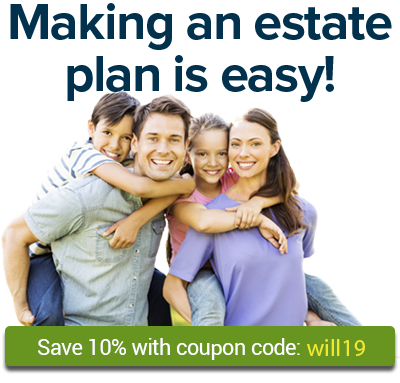 Want to find an estate planning attorney in your area? Try searching Nolo’s Lawyer Directory. Talk to an Estate Planning attorney.